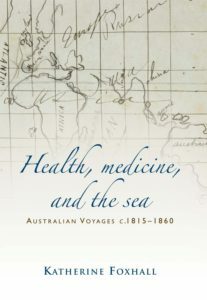 The Society for the History of Navy Medicine is pleased to announce the winner of our first book award. Katherine Foxhall has won the Harold D. Langley Book Award for Excellence in the History of Maritime Medicine for her book, Health, medicine, and the sea: Australian Voyages c. 1815-1860 published by Manchester University Press in 2012. The Award announcement was made last week at the joint North American Society for Oceanic History, Naval Historical Foundation, North Atlantic Fisheries History Association and Society for the History of Navy Medicine conference held in Portland, Maine. The Award was created in honor of naval historian and retired Smithsonian curator, Dr. Harold D. Langley, who is also a Board member of the Foundation for the History of Navy Medicine. 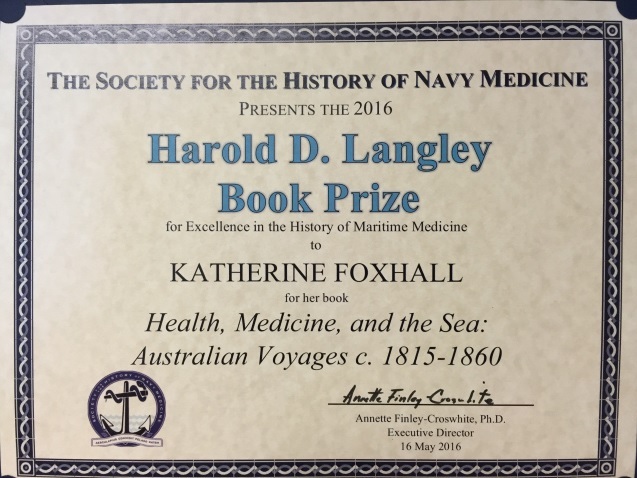 Board President RADM Frederic Sanford, MC, USN, RET and Dr. Kenneth J. Hagan made up the prize committe that selected Dr. Foxhall’s book. 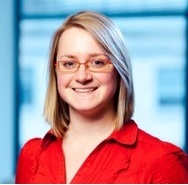 Congratulations to Katherine Foxhall for winning this prestigious award! The award comes with a certificate, one year membership to the SHNM, and $500. 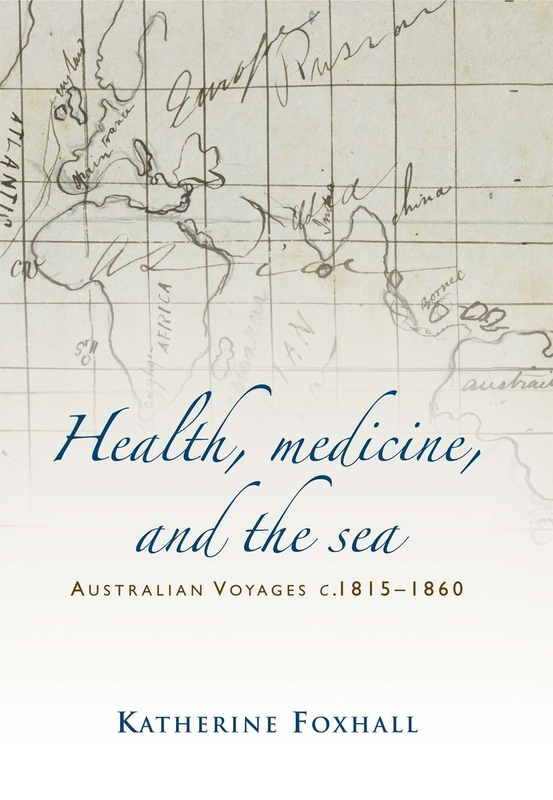 Health, medicine and the sea is out in paperback June 2016.